Browse » Home » Making Money » Influence your grocery store choices - and earn rewards! Influence your grocery store choices - and earn rewards! Want to help influence the products you buy at the supermarket, and earn great rewards at the same time? You can do that through membership in the Nielsen Home Scan Consumer Panel. Good news: they are now accepting new members! If you're accepted as a panel member (they may be only looking for people in certain areas), the National Consumer Panel will provide you with a hand-held scanner. Every time you or members of your household shop, you'll use the scanner to scan the barcodes on all of your purchases. Then, once a week, you'll send in your purchase information. No landline is required. You'll earn gift points that are redeemable for name-brand merchandise, including electronics equipment, jewelry, household items, and toys. 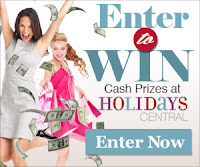 You'll also earn entries into sweepstakes.